This is a pair of Wedge Squared 2wd Buggy Front Carpet Tires. 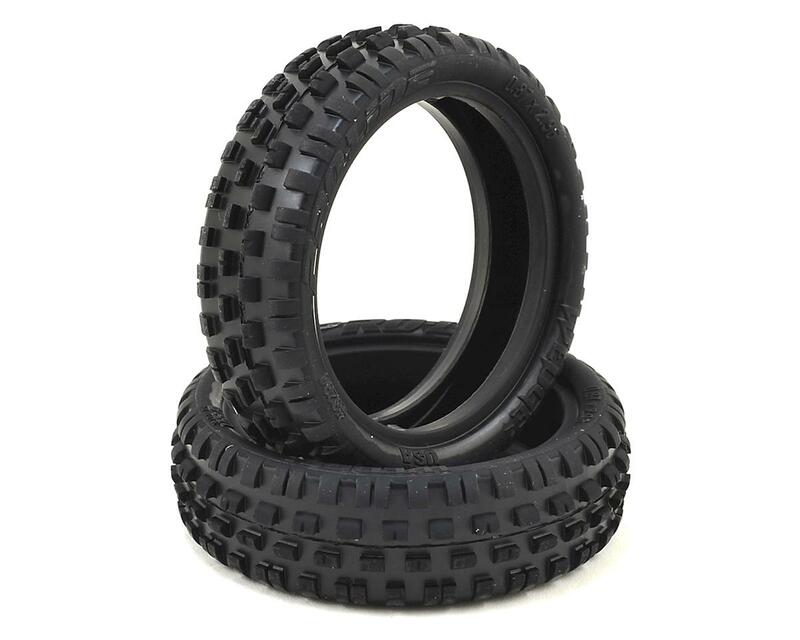 Indoor Carpet Off-Road Racing is a growing segment of the racing scene and Pro-Line is ready to take over with the new Wedge Squared Front Buggy Tires. The Wedge Squared has twice as much tread as the Original Wedge making the Wedge Squared ideal for tracks that require more steering. The Wedge Squared has a true drop-in bead that does not require cutting or hand fitting and is super narrow and low-profile. The Hook shaped pins provide all the steering you can handle without being grabby. Pro-Line engineers have perfected an all-new Carpet Tire Compound specifically for the needs of Indoor Carpet racing. This Z material provides the best grip on a variety of surfaces used indoor (carpet, wood, cardboard, plastic, etc.). Choose from Z3, or Softer Z4 compound. Z4 compound is perfect for U.S. style carpet tracks and will provide more overall grip than Z3 compound. 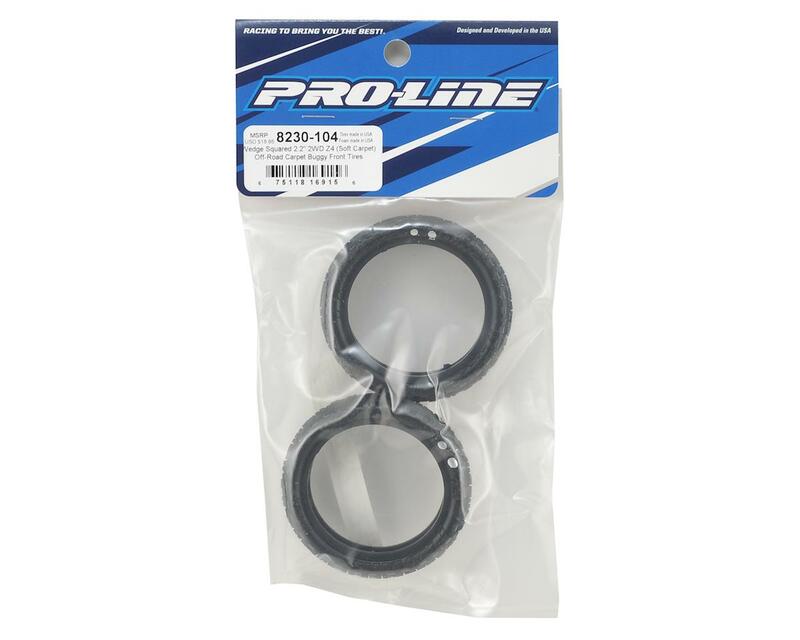 Called Pro-Line with the same question, they said they are designed to be run without inserts. The Pro-Line web site says that these tires are 22mm wide, so they fit a slim wheel (20mm wide), not a normal 2WD front wheel (25mm). The Wide Wedge is 25mm wide so it fits a normal 2WD front wheel. Thank you Jason. Did you trim your rims down to make them narrower? I have been playing phone tag with Pro-Line.